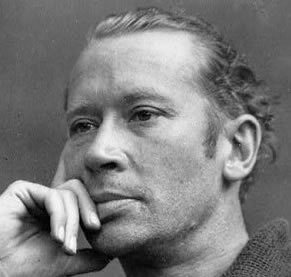 e. e. cummings’ poem Nobody loses all the time, which recounts the agricultural failures of ‘uncle Sol,’ so resembled Anton’s career as a farmer that when I encountered it as a young man I memorised it. The poem in a single breathless long-drop sentence tells how Uncle Sol, a ‘born failure’ more suited to Vaudeville than farming, conducts a series of agricultural disasters: the chickens eat the vegetables, the skunks eat the chickens, then catch cold and die, and so on, until, in the end Uncle Sol himself becomes a (successful) worm farm. The poem only works if read in the accent of a Southern hick, and its humour is generated by the tension between the highfalutin’ phrases and homey diction. This tension was evident in Anton, too. Coming from a small-town Afrikaans background, he necessarily had a good measure of whatever passed for hick. But brilliant, confident and competent, it was the highfalutin’ that he desired and successfully cultivated. Perhaps if he had ‘gone into Vaudeville’, for he could sing, dance and had the graces of an actor, things would have gone better for him. Perhaps if he had abandoned the highfalutin’ and settled for the hick, allowing his impressive talents as a chameleon to guide him into the role of successful farmer, he could have done it. But he was too maverick, too much at odds with the world around him and perhaps with himself, too clever and too changeable to fit the role of phlegmatic bigot that was required of a farmer in those parts. The big farms were out-competing him with citrus; the trees were old and needed costly replacing, so he tore out the productive orchards, hiring a bulldozer to uproot the trees. He planted cotton, but was defeated by the boll weevil in spite of spraying. He planted tomatoes, and I can still picture the label that my mother devised for the wooden tomato-boxes: Owl Brand, the cartoon owl having two red tomatoes for eyes. The tomatoes, which were flood-irrigated by means of little earthen furrows that afforded endless play, thrived. But so did everybody else’s that year. The glut depressed the prices below his break-even point. He tried sweet potatoes, and again was hit by a glut. For eight years, Lesley, Raymond and I were bound into this tale of serial failure by the covenant of marriage. To me, with my urban and bohemian background and the access I enjoyed to an altogether different world of culture through art, literature and music, both language-based factions seemed parochial, narrow-minded and coarse – hicks in my opinion at the time. I was easily able, without ever studying, to excel academically, so the teachers left me alone in general. Not surprisingly, I was not a popular figure among the other schoolchildren, and had to content myself with no more than one friend at a time, or none. I took my revenge on the school in subtle acts of rebellion, two of which I can remember clearly. In what was then Standard Two, having had an interest in materials provoked by the gift of a used chemistry set, I had experimented with the various fluids and chemicals that I found in the house – bleach, shampoo, detergents and solvents – and in the course of these experiments had noted that ink, if mixed with a detergent, would lose its surface tension and thus its coherence: instead of remaining in neat, bold and narrow lines, it spread across the page in a fuzz, following the directions of the fibres in the paper. I took a dropper of yellow shampoo to school in my blazer pocket and during break, when nobody was in the classroom, I placed one drop of shampoo in each inkwell, including my own. The results were impressive. Mrs de Lange, who I am certain suspected me, was unable to prove anything, and I took smug satisfaction in having defeated her and my classmates with science. I even knew the phrase ‘surface tension’; she, I imagined, did not. The other incident concerned my alteration of a roneoed circular about a school sports event. I had changed ‘inter house’ to ‘inter shithouse’ and the like, and in various other ways that I cannot recall had altered the paper so as to make my contempt and dislike of the school clear. The paper came into the hands of the adults, how I cannot say, and I was sent to be dressed down by Dr Nel, the vice-head and an arachnologist who for mysterious reasons had given up the life of science in favour of primary school teaching in White River. I expected to be beaten, but he chose shame rather than pain for my punishment. The interview took place outside, with him sitting on a low wall under a tree in the playground. He was a short, tubby man with iron-grey hair of the kind that forms itself into waves when greased back. He held the paper in his hand and, with a voice that was focused but not raised, said ‘Michael, this is dirty, dirty.’ I said I had only been trying to be funny. I was filled with shame which, unlike guilt, is a public emotion: the inwardly directed anger we feel when we are caught. People call this emotion ‘burning shame’ because we experience our own rage and its simultaneous suppression like a fire in our bodies. I agreed with him to his face, but not inwardly. To me, he was not a credible speaker – he was an Afrikaner Nationalist and therefore, in my logic, a Nazi, and thus an ally of Hitler, the most evil man ever. I was a prisoner and need give only name, rank and number. The 1950s and early 1960s were the age of miracle substances and products. Plastics, drugs, agrichemicals, nuclear power, transistors, hydrogen bombs, jet aeroplanes, television, cars with wings, computers, space rockets and many more marvels issued in abundance from the laboratories of science and its partner, technology. Popular Mechanics, an American magazine to which Anton subscribed, carried plans for a build-it-yourself laser – a technology which, as the article put it, had as yet no application. The magazine was full of these wonders. So were Marvel, DC and ACE comics, where unsuspected aberrations of the scientific project changed innocent and ‘perfectly normal’ Clark Kents and Peter Parkers into gods. With no serious challengers, the makers of all these goods could afford to be cavalier about trivial matters like safety. Workers in some radioactive environments vied to get hot as fast as possible. Roads had no speed limits. Seat-belts were unknown. Many adults smoked, sprayed DDT in CFC-laden solvents and used benzene to clean spots on their clothing. Asbestos, the wonder-substance first brought to the attention of Westerners by Marco Polo, was still thought of as generally useful and was widely used. One day Anton took us to visit an abandoned asbestos mine near Barberton, where a strewn rubble of bright green and mauve soapstone held gleaming veins of the fibres; some of these strange rocks were added to my small collection, with which I played. During my years as an apprentice jeweller, all soldering was done on a pad of asbestos which sat under my nose on the workbench. When the afternoon sun shone through the window, it lit with a slight gleam the tiny fibres blown into the air by the pale flame. 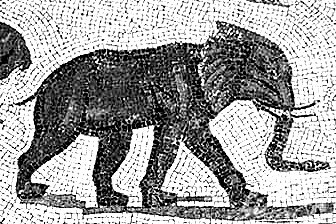 The elephant, being the biggest land creature, is the first to be treated in the eighth book of the elder Pliny’s encyclopaedia, the one devoted to animals. ‘Maximum est elephas proximumque humanis sensibus’ he tells us – the elephant is by far the closest beast to humans in spirit. They understand, among other things, those commands and duties which they have been taught, and are sensible of the pleasures of love and glory. 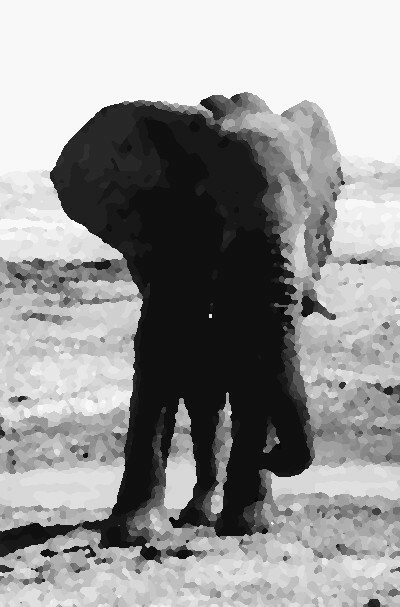 To a degree that is rare even among men, elephants exhibit honesty, prudence and equity. They have a religious respect for the stars, and venerate the sun and the moon. Indeed, they are a people, and although their culture differs from ours, they are as deserving of appreciation and esteem as we are. The Romans paid more than lip-service to this credo, for they treated elephants pretty much like other peoples from Africa or India – they enslaved them or enlisted them into the army, for they made splendid slaves and soldiers. Captured elephants were, like human captives, also turned into gladiators. On the 15th of September, 2003, a herd of fifteen wild elephants found their way into a rice paddy in Assam in North-East India, where they ate rice plants that had been poisoned with the banned chemical Dimecron (phosphamidon), one of the group of organophosphate chemicals, including DDT, which had recently come under a world-wide ban. They did not raise their trunks up to heaven, calling down curses upon the makers and users of Dimecron. The startling photograph of the grey elephants lying draped like fallen hot-air balloons in the vividly green field did not make big news. Only a few thousand of these endangered animals remain. Organophosphates don’t disappear easily – they remain and accumulate in food systems. The Times of India sampled bottled mineral water, including Coca-Cola and PepsiCo products, and found that all had levels of insecticide far exceeding the European limits – the Coca-Cola products had forty-five or more times the permitted limit. PepsiCo did little better, at thirty times the maximum. The water use of these powerful companies, it turns out, is unregulated. Elephants had, of course, lived in the White River area before the arrival of white people, but the advent of rifles and fences put a stop to that, as these large and inconvenient animals were systematically slaughtered. The farmers of the area, like the farmers in Assam, were keen users of organophosphates, which seemed safe when compared to the earlier method, for which broken equipment from Archie Hopper’s day lay rusting amid rat-droppings and dust in the big shed. In his time, a tent was erected around several trees; once this had been fastened down, it was filled with cyanide gas pumped in by a hand-cranked device, which included a warning siren. After a suitable interval, the tent was moved on to the next few trees. The workers wore gas-masks like those used in the Great War. Symptoms of acute poisoning by organophosphates develop during exposure or within twelve hours (usually within four hours) of contact. They include headache, dizziness, weakness, inco-ordination, muscle twitching, tremor, nausea, abdominal cramps, diarrhoea, sweating, blurred or dark vision, confusion, tightness in the chest, wheezing, productive cough, pulmonary oedema, incontinence, unconsciousness and convulsions, slow heartbeat, salivation, shedding of tears, toxic psychosis, manic or bizarre behaviour (which has led to misdiagnosis of acute alcohol poisoning), an influenza-like illness characterized by weakness, anorexia, and malaise, slowing of the heartbeat progressing to complete sinus arrest and fatal respiratory depression. Long-term problems include cancer, damage to the nervous and reproductive systems, birth defects and severe disruption of the immune system. 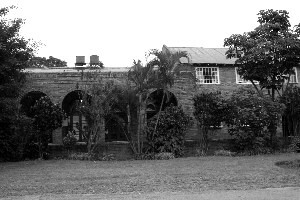 Workers on Luitingh’s Guest Farm were known to be ‘careless’ on occasion, and some of them became poisoned and had to be taken to the Swedish Mission hospital. The hostelry and domestic aspects of the farm were also subject to pesticides, but not the full organophosphate barrage that the orchards received. Dogs were dusted with DDT for fleas. Hand-pumped sprays, fly-strips, mosquito coils and wire mesh were all that stood between us and the insect world, which was intent on devouring or breeding in whatever we valued. The Lowveld had been uninhabited before white people came, I was often told, and indeed the agrarian peoples who preceded the colonists had mainly used the area for winter grazing, so as to avoid the tsetse flies that preyed on cattle and people alike. 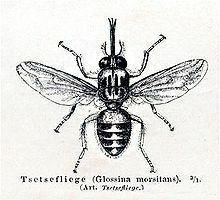 It was in fact the trypanosome parasites which inhabited the flies, and which they passed on, that caused the dreaded sleeping-sickness. One weekend we set off to climb Legogote, the high koppie depicted in our school crest (and faintly reminiscent of Lion’s Head looming over Clifton), to visit the Bushman paintings found there. The climb was a long tedious slog, but the paintings, which included small black figures with large erections, left a lasting impression. The endurance of the paintings seemed to imply permanent habitation. But there were no Bushmen, or people looking like what we imagined Bushmen to look like, in the area, and the orphaned paintings seemed to emerge from a primeval and magical prehistory shared or perhaps created by Rider Haggard and other colonial romanticists. How, I wondered, had these people survived the tsetse flies? I now surmise that they left their mark during seasonal visits, their nomadic habits enabling them to survive the flies long enough to make the paintings. The Afrikaans farmers of the Boer Republic who pre-dated the British arrival had followed the indigenous pattern; they appropriated the area for winter grazing, but did not settle. As in other areas of the country, they hunted, and by the end of the 1800s, wildlife was in a sorry state. It was further decimated between 1896 and 1898 by rinderpest, a cattle disease introduced along with cattle from Asia. By the end of the rinderpest epidemic, ninety five per cent of the cattle were dead, along with buffaloes and related species. As the cattle, buffaloes and big antelope died, so did the tsetse flies and the trypanosomes they carried, and the area was unintentionally made ready for settlement. The first British settlers, who began to occupy farms in the Lowveld during the 1920s, secured themselves against any remaining tsetse flies by fencing off the land and killing all the animals large enough to be easily shot, so that the flies had nowhere to breed. Infected cattle were also destroyed. After the war, the anopheles mosquitoes were taken out by systematically spraying everything, including every dwelling in the entire Lowveld, with DDT so that by the time that we arrived, it was regarded as a malaria-free area. We took no special precautions against it, even though the disease itself had a fearsome reputation. Once, aged perhaps ten, I had a fever of which I still remember the heat, the oppressive hallucinations, and the fear that I was going to die. Len Carlson, the doctor at the Swedish Mission Hospital outside White River, was called in. He examined me, then said over me to Lesley, ‘I’m worried about the anopheles bug,’ a sentence which pierced through my fever and redoubled my terror of imminent death, for the words of adults were my medium and an interest in tropical parasites was a necessary part of living in that area. The words ‘I don’t want to die’ took on the quality of a fevered mantra, and echoed through my hallucinations until they abated a day or two later, never to return. The Kruger National Park, which lies less than twenty miles from White River, was known simply as ‘the game reserve’ and often visited. Lesley took us on day-trips into the park, usually in the company of guests from elsewhere who had come to see the reserve, or who needed to be amazed and entertained. On these trips, I was always impressed by the harshness and scariness of the wild just beyond the windows of the car. Out there one could be eaten, and it was an occasion of great excitement to come upon predators enjoying a kill. The fact that the animals being eaten were almost invariably a lot bigger, faster and stronger than me did not escape my notice. Anything bigger than a bat-eared fox ought to be thought of as dangerous, for all of these animals had devised strategies to cope with living in this ruthless place – they had sharp horns, claws and teeth, hard hoofs, tusks, and a suspicious, aggressive nature. They gazed stolidly at the cars on the dusty roads and chewed their cuds, but I knew that were I to step from the car, I might be gored, kicked, tossed in the air, stomped on or devoured. Crocodiles in particular seemed, to my timid eye, to concentrate malice in their still bodies, and were scarier than lions. But the scariest of all were the elephants. Elephants are big. Jumbo, the most famous African elephant of the nineteenth century, whose name has become synonymous with the largest of anything, was acquired in 1865 by the London Zoo from the Jardin des Plantes in Paris (in exchange for a rhinoceros), and grew to a height of eleven feet and four inches, weighing some six point two tons. The elephants of the game reserve had an extra emotional charge not only because of their size but because they were intelligent, as the impressive dome of their skulls reminded me. But although elephants are intelligent, they are not reasonable, for they have no language. Elephants loved to get drunk on fallen and fermented marula fruit. Then, in their inebriated state, they would cause mayhem in villages, ripping up fences and houses and uprooting or trampling entire fields of mielies. Every now and again, cars that had been damaged by elephants would appear on the forecourt of B and B Motors, the Shell garage in White River. One in par-ticular, a Mini which had been flattened down to a height of about eighteen inches, was much discussed at school. The driver of the car had provoked the elephants by throwing oranges at them, hoping for an action shot. When the irritated elephants approached, he dashed to the car, so the elephants attacked that instead, trampling and sitting on it, turning it over with powerful tusks. The entire event had been witnessed by people in other cars, who had discreetly driven away. One day Lesley and I took a guest into the park, a Portuguese friend of our neighbours, the Lopes family. She and another woman whom I don’t recall were in the back seat of the Ford Consul, and my mother and I were in front, when we rounded a bend to be confronted by a lone bull elephant whose bulk occupied the entire road. Lesley stopped. The bull charged – bellowing, raising his trumpeting trunk, flapping his enormous ears like maps of Africa, and pounding his tree-trunk feet like a bull tearing up sods. The road was narrow and admitted no turning, so Lesley had to reverse, the slowest gear. At the same time, crisis erupted in the back seat: the guest peed herself in terror, and her companion in the back seat tried to assist her in directing the stream into a Coke bottle. Lesley, glancing forward at the elephant and backward at the road behind her as she strained the car’s gearbox to its maximum, still had the cool to instruct me not to look, and I understood that it was not the elephant she was talking about. 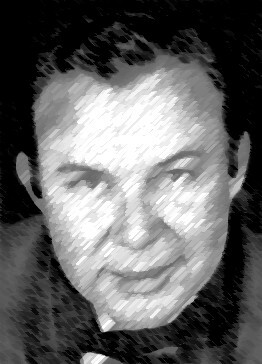 Jim Reeves was born a year after my mother in Galloway, Panola County, Texas. At the height of his fame, he visited South Africa (where he was hugely popular among white listeners) to film Gentleman Jim. In South Africa in the early 1960s, he was more popular than the Beatles, and his hit Don’t Let Me Cross Over kept I Wanna Hold Your Hand off the top spot. Like Anton, he was musical and sporty at the same time, and it was ankle injuries that were to prevent both from continuing with sporting careers. In the garage were Anton’s old record-player and his records from the 1940s and early 1950s, mostly 78 rpm format. On these, men with voices very like Jim Reeves’ crooned American songs that had been popular during Anton’s boyhood. I would go in there and play these records sometimes, but I don’t remember precisely when or why. The tune of a song called Beautiful Louisiana reaches me through the crackle and hiss of time.